Was Adin Ballou the First Psychical Researcher? Although the formation of the Society for Psychical Research (SPR) in London during 1882 is considered by many to be the beginning of scientific research into psychic phenomena, it is clear to anyone delving into the subject that there was considerable research going on well before then, beginning shortly after the “Rochester Knockings,” which triggered the mediumship epidemic in 1848. 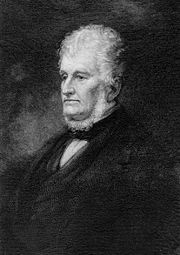 My book, The Afterlife Explorers: Volume 1 discusses the research that took place between 1848 and 1882, suggesting that Judge John Edmonds was the first dedicated psychical researcher. 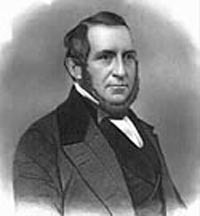 Edmonds, who served in both branches of the New York legislature, for some time as president of the Senate, before being elevated to the New York State Supreme Court, of which he would become Chief Justice, began his 23-month investigation of mediums in January 1851. “I was at the time a disbeliever,” he wrote. “I had all my wits about me, and was on the sharp look out for deception.” After witnessing several hundred manifestations in various forms and keeping detailed records of them, he co-authored, along with Dr. George T. Dexter, a book entitled Spiritualism, published in 1853. The book attested to the genuineness of much of the phenomena he had witnessed. But it appears I may have been mistaken in naming Edmonds as the first dedicated psychical researcher. 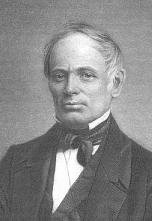 That distinction may very well belong to Adin Ballou, (below) remembered primarily as an influential pacifist, abolitionist, and Unitarian minister. I recently discovered his 1852 book with the lengthy title, An Exposition of Views Respecting the Principal Facts, Causes and Peculiarities Involved in Spirit Manifestations Together with Interesting Phenomenal Statements and Communications. It is not clear from the contents of the book when Ballou began his investigation of mediums, but the publication of his book definitely preceded Edmonds’s book. After summarizing phenomena reported by credible witnesses, Ballou tells of his own observations beginning with a wide range of communicating “raps” and “taps”—from some like the ticking of a watch to that like someone pounding on the door, while also including a sound like scratching of a hard finger nail on a board. “I have heard the time and metre of tunes beaten out with utmost accuracy, and by several rappers in unison – not only while the tune was being played or sung, but afterwards, without accompaniment,” he recorded. “And I am as certain that these sounds were not made by any conscious mortal agency, as I am of the best authenticated facts in the common transactions of life. “I have seen tables and nightstands of various sizes moved about in the most astonishing manner, by what purported to be some invisible agency, with only the gentle and passive resting of the hands or fingerends of the medium on one of their edges. Also, many distinct movings of such objects, by request, without the touch of the medium at all. I have sat and conversed by the hour together with the authors of these sounds and motions, by means of signals first agreed on; asking questions and obtaining answers – receiving communications spelled out by the alphabet – discussing propositions sometimes made by them to me, and vice versa – all by a slow process, indeed, but with every possible demonstration of intelligence, though not without incidental misapprehensions and mistakes. I have witnessed the asking of mental questions by inquirers, who received prompt and correct answers as when the questions were asked audibly to the cognition of the medium. “I have know these invisibles by request, to write their names with a common plumbago pencil on a clean sheet of paper – half a dozen of them, each in a different hand. To make sure of this, as an absolute fact, the medium was required to lay her left hand, back downwards, in the hollow of a veracious person’s hand, both open; when a piece of pasteboard paper was laid on her hand, a well examined bland sheet of writing paper placed thereon, and a lead pencil on top of that; in which position (the medium’s right hand being held up to view) both the hands, with these fixtures resting on them, were placed under the leaf of the table, as insisted on by the writers. After a minute or two, at a given signal by the spirits that they had done, the paper was exhibited with various names written thereon, as above affirmed. This was repeatedly tested with the same results, under circumstances putting all suspicion of fraud and jugglery entirely at rest. Ballou went on to say that he had seen a medium “gently magnetized and thrown into a trance in one minute, by the imperceptible influence of the spirits.” The spirits then used her organs of speech and answered numerous questions, instead of responding with the usual raps. “That these trances were not superinduced by mortal agency, and were not feigned but real, I am as certain as I can be of anything not absolutely beyond the possibility of mistake,” he wrote. * There are seven spirit spheres, or circles, inferior to the heavenly or celestial spheres, and each sphere or circle has several degrees. Man progresses through these spheres, drawing nearer and nearer to God, or nearer to the divine standard of perfection. * Death does not change man’s real character, nor his proper spirit sphere, nor his capability to make progress, nor the laws of progress. * Many spirits remain very long in the lower spheres, but while they are “spirits in prison” there is no such place or state as a hell, of unmitigated, hopeless mercy. * God, angels, and all the higher spirits are forever seeking the elevation of the inferior spirits, by all just, wise, and appropriate means. * Spirits in the higher spheres are employed in three general exercises: 1) in striving after a more perfect knowledge of and communication with God, whom they cannot see there any more than here, as a personal being, but only in spirit by faith and intuition; 2) in study, self-examination, contemplations of truth, and acquainting themselves with all useful knowledge attainable to them; 3) in ministering to struggling spirits on earth and in the lower spheres – endeavoring to elevate and bless them. * Spirits in any circle can descend into all the circles below their own, but cannot, except by special permission, ascend into a higher sphere, until qualified by spiritual progress. The principal difficulty confronting the survival hypothesis is an intelligible Hereafter. – H. H. Price, Wykeham professor of logic, Oxford Univ. Most journalists seem to feel that they have to treat anything relating to the afterlife or the spirit world with tongue in cheek, lest they be judged fools. It’s as if they are trying to say, “Dear Reader, you know I’m too intelligent to really believe any of this spook stuff, but I’ll give my two-cents worth anyway. Hee! Hee! Ha! Ha!” Then they proceed to show their ignorance by revealing that the only afterlife they have heard of is that of orthodox Christianity, one which they find totally unjust. After all, what kind of all-loving God would permit such a system – one in which one mistake, whether it be a serious transgression or not accepting the right savior, can result in unspeakable and unimaginable torment and anguish for eternity? No person in his or her right mind can accept such a God. The recently-released movie, Heaven is for Real, has generated a number of columns and blogs by journalists and bloggers. As they all seem to see it, the afterlife is either the humdrum heaven or the horrific hell, as taught by most Christian religions. Of course, Catholicism teaches a middle ground, of sorts, in purgatory, but ask any Catholic what purgatory is all about and the odds are that the person has no clue. The Church once taught that it is just as bad as hell but not eternal, a place where sins are purged before one is allowed to enter heaven. Today, however, as near as I can determine, purgatory isn’t really discussed. None of these journalists or bloggers stops to define “heaven.” Kirsten Powers, a columnist for USA Today, points out that 74 percent of Americans believe heaven is real, while only 59 percent believe the same of hell. The poll she refers to apparently didn’t look at anything in between the two extremes, nor did Powers. She finds it curious that some people cling to the idea of heaven while ignoring hell, wondering if it is all part of the “omnipresent self-esteem movement,” playing itself out as “I’m OK, you’re OK and I’ll see you in heaven.” Such an approach does seem to let that cruel and vindictate God of the Old Testament off the hook. Why is it that so few seem to grasp the frequent teaching coming to us through credible mediumship that the afterlife is not just a boring heaven and a terrifyting hell? We have been frequently told that there are many spheres or planes, whatever name be given to them, and we begin at the level we have prepeared ourselves for. Hell is like a bad dream at the lowest level, but it is not eternal. If we define heaven as the very highest level, nearly everyone has a long way to go before reaching that Oneness – a Oneness, we are frequently told, in which we retain our individuality. The predominant religious thinking seems to be that we end our earthly lives being labeled either “righteous” or “wicked” – no in-between – and our afterlife environment is either blissful or horrendous. In the blissful state, we should find, according to some religions, souls who led selfish and hateful lives but who repented on their deathbeds or “found” their Savior just before dying and suddenly became “righteous.” Among the tormented, we should expect to find souls who led righteous lives for most of their years but who possibly transgressed just before dying or never recognized their Savior. How can any thinking person reconcile such “justice” with an all-loving and forgiving God? Is it any wonder that so many “thinking” people turn to atheism and humanism? In John 14:2, Jesus says, “In my Father’s house are many mansions. If it were not so I would have told you.” Greek scholars tell us the Greek word translated to “mansions” originally meant a stopping place or a temporary abode. However, the usual self-serving orthodox Christian interpretation of it is that Jesus was referring only to that part of the afterlife that is not hell. Modern revelation coming to us since the 18th Century, beginning with Emanuel Swedenborg and continuing through various seers and mediums, clearly points to many spheres, planes, realms, dimensions, levels, or degrees of vibration in the afterlife and strongly suggests that when we leave this earthly realm, we go to the one we have prepared ourselves for. To put it another way, there are many degrees of righteousness and wickedness. It is not all black and white; there are many and various shades of gray in the afterlife. Swedenborg, the brilliant scientist who learned to travel out of body into other realms, wrote that he discovered “infinite diversity” and “countless communities” during his clairvoyant explorations. Like Swedenborg, Edgar Cayce, the famous American “sleeping prophet” of the last century, also told of taking a tour of many realms during one of his travels out of body. He described how he encountered a stream of light he knew he must follow. In the lower or darker realms he saw “forms” that were floundering or lost and seeking the light. As the light grew stronger and stronger, he arrived at a place where individuals appeared much as they do today. Some seemed content, while others were striving for greater knowledge and light. After his death in 1772, Swedenborg continued to teach, communicating through various mediums, including George T. Dexter, a New York physician (Below). On May 22, 1853, Swedenborg communicated that the moral condition of the spirits of the lower spheres does not appear to differ materially from the moral condition of the unprogressive man in our world. “They may, it is true, have moments when their spirits yearn for the brighter spheres beyond their dark plane, when conscious of its birthright, the soul awakens to a sense of its own degradation, and realizes its true situation,” he wrote through Dexter’s hand, “but they live and act as unprogressive man does, daily performing their accustomed round of malicious action, and carrying out the designs of their blunted perceptions; and it is not till some event, out of the ordinary occurrences of life, arouses them completely and opens their understanding to the reception of truth, that they begin to progress. Bacon added that there is in this condition of both body and mind a state which rejects magnetically all above and that they are compelled to take a place appropriate for their moral advancement or lack thereof. He said that the law of affinity is manifest as much in the higher spheres as in the lower, and that no spirit can become bad all at once or good instantly, going on to say that the law of progression and retrogression is in full force in all spheres. Although Hare set out to debunk mediums, he soon came to realize that, while there were frauds, that there were genuine mediums between the living and the “dead.” He began asking communicating spirits about their abodes, their modes of existence, their theological doctrines, and diversities of their situations. He was told that there are seven spheres, the terrestrial sphere occupied by humans being the first, while the second sphere is where depraved spirits find themselves until they can begin the process of purification that allows them to ascend to higher spheres. When spirits reach the seventh sphere, they are entitled to enter the supernal heaven. He was also informed that there are no visible boundaries between spheres, but spirits have a peculiar sense which makes them understand when they are passing from one sphere to another. Like the skeptics of today, Hare initially couldn’t conceive of living in an eternity even under the most favorable conditions we encounter on earth. It would no doubt get pretty boring after a time, he reasoned. “The most favorable idea of heaven given in Scripture seems to be that which identifies it with Paradise,” Hare wrote. “In other words, a most beautiful garden. But who would conceive an eternal residence in one garden, however superlative its attractions, as desirable? As Hare came to understand, however, it is human arrogance – the belief that we in the flesh can understand everything – that limits us, and we make a serious mistake in applying our limited terrestrial mentality and conditions to the celestial realms, i.e., that is, they are beyond human comprehension.